Home » Blog » Timeshare cancellation or donation should not cost you upfront! The timeshare industry is growing rapidly with more companies that prey on timeshare fraud victims. 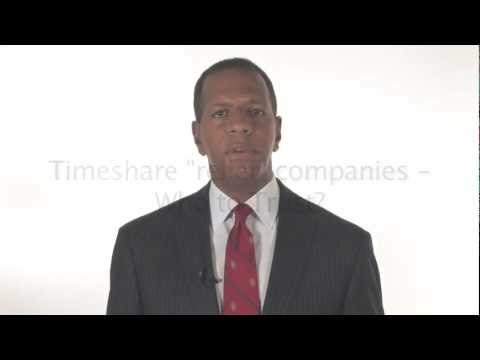 If you do a search online for timeshare cancellation companies, you will find many companies that claim to help people get out of timeshares by taking them off their hands and donating them to charities or other organizations that can use the timeshare or state they can cancel the timeshare by charging an upfront payment. When the client calls the timeshare cancellation company for a consultation, usually they are told that they can not only cancel a timeshare contract but also recover the money most times and explain how their expertise will entitle them to help you recover your investmet. The blury thing here is that they normally charge an upfront free for things such as taxes, appraisals, or a change of title fee. Some of these companies charge several thousand dollars in upfront fees to people who are desperate to get out of their timeshare situation. These companies claim that this one-time fee will guarantee a quick transfer or cancellation, or there is a 100% money back guarantee. Unfortunately, when paying upfront to timeshare cancellation lawyers or companies, you, the client, become the weakest link again. They have the upper hand because, whatever the results, they already got paid up front. Making a short analogy, Would you pay a salesman who promised you he or she could sell your house for a profit their 6% commission upfront? What would be the incentive for selling your house if they already got paid? In an industry with an abominable reputation, it is imperative to take caution. You cannot walk around paying money to people that claim they can help you for whatever reason. If you come across a lawyer or company that claims has an outstanding service and guarantee results as one of their main goals, then should be willing to provide with results before requesting a payment. In the case of donating a timeshare to a charity is a noble and convenient idea; however, in practice most charities and non-profit organizations do not want to inherit timeshares due to the high cost of maintaining them, and the low value that they hold. It ends up costing the charities more time and money to try to rent or auction off the timeshare week, and then after incurring the cost of the maintenance fee, there is little to no profit remaining for the charity to benefit from owning the timeshare. The timeshare weeks are often listed online at cheaper prices than the cost of the maintenance fee for one week. In addition, the maintenance fees for timeshares continue to increase, despite the confusing language in the timeshare contracts that make it appear that they will remain constant. Also, many timeshare resorts are charging special assessments equivalent to the value of the maintenance fee every 5 years. These increasing fees make the dream of profits from timeshare rentals even harder to achieve, and opportunities to donate to charities very few and far between. If a company is willing to relieve you of your timeshare fraud or accept your timeshare in donation, it is obvious that a fee will be involved for their services. In order to ensure that you do not get scammed again, ensure that you get a quote in writing of their fee, and do not pay anything upfront to their company or a third party escrow company until you have personally checked with the resort to make sure that the transfer has been completed. Our staff at Mexican Timeshare Solutions cannot stop these timeshare cancellation companies from going into business, but we are trying our best to educate victims of timeshare scam to protect themselves against further variations of timeshare fraud by avoiding paying any upfront fees. If you have been scammed by a resort, rental or resale experience make sure that you share your experience so that other innocent vacationers are prevented from the financial hardship of timeshare scams. You can post your comments on our blacklist of the worst timeshare scam hotels in Mexico to share you experience with other travelers. Mexican Timeshare Solutions does not promise to donate your timeshare or transfer your title to another organization. After all, if the timeshare is a scam, why would you want to inflict the financial and emotional harm on other individuals or charitable organizations? The goal of MTS is to provide our clients with the best way to get out of their timeshare contract, by cancelling the contract properly so that they can vacation on their own terms. Contact us at Mexican Timeshare Solutions for a free consultation and analysis of your timeshare situation. We do not charge any fees until you have received confirmation that your timeshare has been properly cancelled, so you have nothing to lose, except your timeshare! Leave your comment below and share your opinion with us. To know more about timeshare scams go to: Timeshare Debt: Can my credit score be affected if the resort does not have my SSN? Buenos días el domingo 22 de abril del 2018 mi esposo y yo adquirimos un tiempo compartido con mayan palace en acapulco, nos cobraron un enganche con cargo a tarjetas de credito que ellos mismos nos sacaron ahí por medio de un banco, las cuotas son muy exageradas y no podemos pagarlas en verdad queremos cancelar ese contrato es un gran dolor de cabeza. Por favor ayudenme espero su respuesta a la brevedad. Hello! We just bought the Privilege Club Membership when we went to Bahia Principe Resort in Jamaica and signed the contract 7 days ago stating no buyers remorse. When i examined closely now, the contract appears too good to be true and peole’s reviews are aweful. We wanted to cancel it as soon aspossible. Is this possible? adquiri una especie de tiempo compartido con ORANGE LAKE HOLIDAY INN VACATIONS CLUB, no puedo pagarlo y solo lo use en 2 ocasiones. Quiero cancelar una membresía de un resort en Cancun que no he usado. Buenas noches, hace un año adquirimos una propiedad de tiempo compartido en WestGate resort de Orlando, el pasado 30 de septiembre me llegó al correo el contrato # 15093007. el cual debía firmar y retornar, pero no lo hicimos. Desde la fecha estamos tratando de hacer uso de la propiedad en tiempo compartido adquirida y cada vez aparece un nuevo pago por cualquier razon y despues de varios miles de dolares y sin poder usar la propiedad queremos cancelar el contrato, me gustaría saber que pasos debo seguir o cómo realizar la cancelación. Yo adquiri una menbresis con UVC, en dreams huatulco, practicamente fui timado por los engaños del asesor de ventas que tras 5 hrs de estar sentado y sin dejarme respirar practicamente , tontamente me deje convencer para firmarlo ofreciendome un costo total de la membresia que no es el que aparecio en la llamada hoja de portada, hoy iniciare el proceso de cancelacion del contrato junto con una debuncia en la profeco espero alla un final favorable en caso de no ser asi esperp su ayuda para salir de esta estafa.